Prince Harry and Meghan Markle have just announced the most exciting news, they are engaged! The gorgeous couple have been seen together many times prior to their engagement announcement and here at Girl Meets Dress we just cannot get enough of the outfits worn by Meghan Markle! Why not hire a dress exactly like dresses worn by Meghan Markle. Want to get the Meghan Markle look? 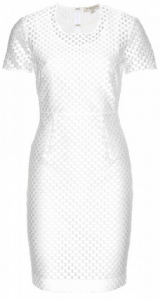 Here is some of our favourite white dresses to hire from Girl Meets Dress! Hire a dress UK from Girl Meets Dress! Get the Meghan Markle look and look elegant and fabulous in white! This Burberry London dress with frayed polka dots fabric captures elegance and femininity. Hire a dress and look as fabulous as Meghan Markle did in a white dress! Dress like Meghan Markle in this casual style for a day event or a holiday wardrobe. 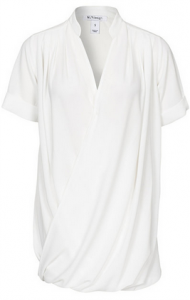 The white colour and shirt style is flattering and simple yet elegant! Hire this dress and get the Meghan Markle look. 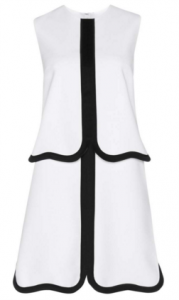 Victoria Beckham’s ‘Wave Hem’ design shakes up the shift dress. The clean white style is framed with black piping. Perfect for any event, casual or a party! We have been completely inspired by Meghan Markle‘s choice of white so why don’t you hire a dress! Hire a dress like Meghan Markle! Posted November 30th, 2017 in Uncategorized. Tagged: 27 Dresses, ADRIANNA PAPELL dresses to hire, ball dress hire, black tie dress code, burberry, burberry dresses, Burberry Girl Meets Dress, casual office Christmas party, christmas, christmas cocktails dresses, Cocktail dress hire, Designer dresses designer dress hire designer dresses uk, Dress Hire, dress hire london, hire Burberry dresses, hire christmas party dresses, hire nly dress, hire nly dresses, hire victoria beckham, meghan markle, meghan markle dresses, meghan markle lace dress, nly dress, Nly dresses, office Christmas party dresses, prom dress hire uk, rent burberry dresses, rent nly dresses, victoria, Victoria Beckham dress hire, Victoria Beckham style, what to wear to an office Christmas party?.